Each year during National Library Week, the Friends of the Library holds the Annual Friends Spring Book Sale. Things kick off on Monday when we will host a Friends Reception for members of the Friends of the Library from 6pm-8pm. This will be your first opportunity to buy books at the book sale. Friends of the Library applications will be available at the door for the low price of $5.00. Beginning the following day on Tuesday and continuing on Wednesday we will be open to everyone from 9am to 8pm. All items are moderately priced. Thursday, the last day of the book sale will be dollar bag day. Stuff all you want into a plastic bag, or your own bag, for $1.00. The Friends of the Library is a group that has a long history with the library. We are looking for people who would like to volunteer to help the library at library events, summer reading, and during the hours the library is open. Volunteers bring a special energy to the library and our something we cherish very much. 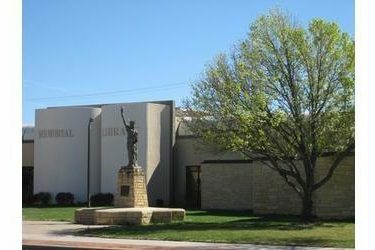 If you have any questions please go to the link on our website at: www.lmlibrary.org/friends or follow the Friends of the Liberal Memorial Library on Facebook.